In thinking through and beyond the recent economic downturn, we will introduce the session by presenting the varied strategies that have allowed three very different organizations to turn the economic crisis into something of an advantage. How did these organizations expand and contract? How did they renegotiate the relationship between institution and programs? How have these decisions shaped the institutions? How do we define value: the value of our programs, staff, collaborators? How do you define scalability? How do we manage expectations—actual and/or perceived? What are the roles of the Executive Director and the Board? 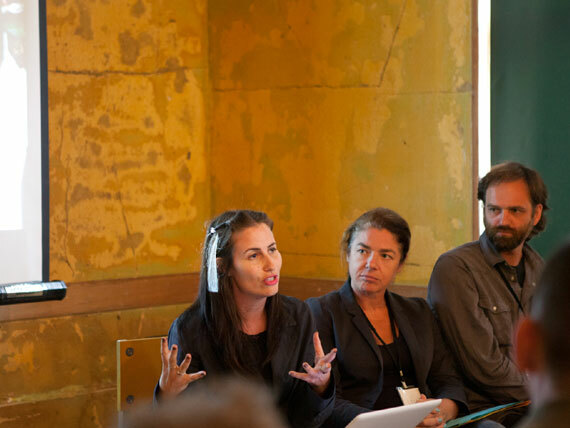 The session was led by Lauri Firstenberg, LA><ART; Nat May, Space Gallery; and Sylvie Fortin, ArtPapers. An open discussion followed their individual presentations. How did Space double their budget and finance a major expansion in the midst of the downturn? According to May, their programming remained constant at about 200 events and 15 exhibitions per year. 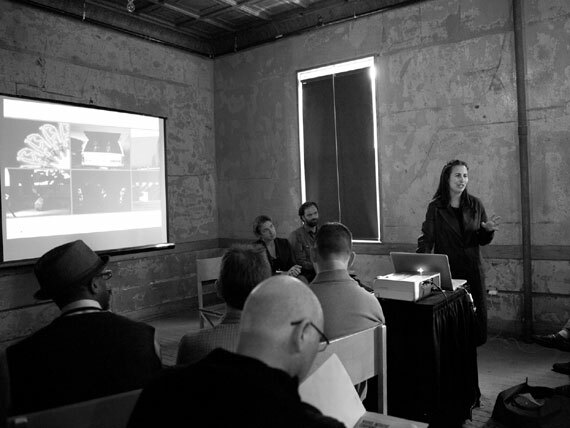 The key change was a mental shift: recognizing and valuing Space’s assets—their facility, their expertise in organizing art events, and their connections in the community—and asking organizations that used their space to cost-share. “We did some tricky math with our Board Treasurer to figure out what it was costing us to say open every day…In the beginning, we felt apologetic about asking organizations to contribute, but asking people to share costs made a huge difference,” he said. They also analyzed the opportunity costs of the different types of events they hosted, and looked for a balance that would maximize their earned income from a mix of sources including ticket sales and a small bar. A concerted effort to reach out to other organizations made Space a “go-to” place for people who want to put on events and social activities for their organization; the Space mailing list reached new communities as other organizations brought people in. Bringing Hammer programming to LA><Art art allowed the smaller organization to get on a slower schedule, giving Firstenberg time to fundraise and work on a strategic plan. This institution building paid off in May, when the Getty Foundation approached LA><ART about co-directing a performance and public art festival for Pacific Standard Time: Art in L.A. 1945-1980, a series of concurrent exhibitions at museums throughout Southern California highlighting the post-World War II Los Angeles art scene. 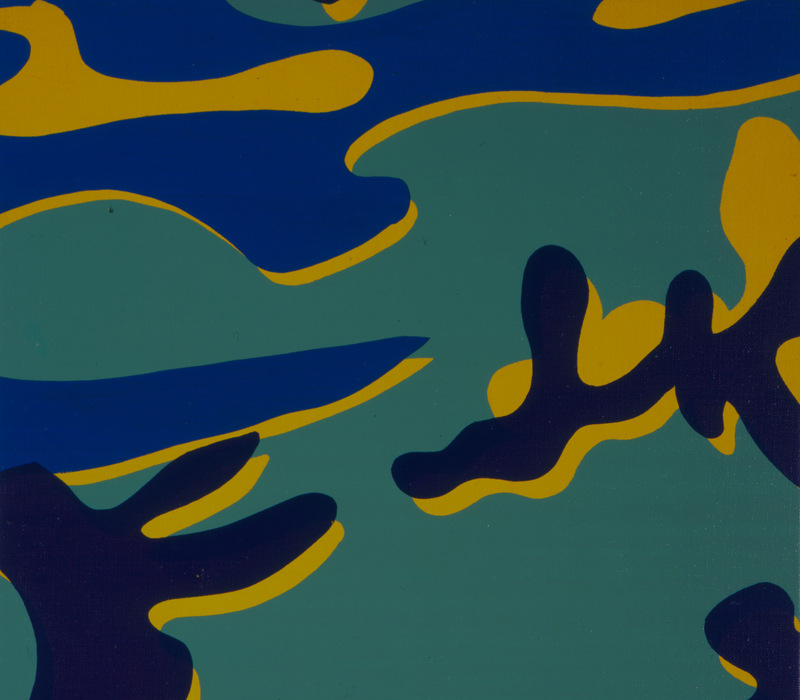 “I joined Art Papers in 2004,” said Sylvie Fortin. “It was an old publication, puttering along, with a lot of structural and facilities problems. The computers were outdated and would shut down every half-hour while we were trying to edit, for example. The Warhol Initiative stepped in to help us renovate our space and make some strategic investment; we began building an operating reserve. Then the recession hit. Had we not had that period of organizational building provided by the Warhol, Art Papers would be gone. “When I started,” Fortin continued, “We took a year to redesign and re-conceptualize the magazine, asking questions such as ‘What does it mean if your legacy is that you started as the Art Workers Coalition Newsletter? What does that mean in 2005?’ We relaunched in 2006 and went from distribution in 13 countries to 80 countries. Revenue streams were up. Then boom! The recession. Advertising income disappeared and our major fundraiser, an art auction, dwindled significantly. We had operating deficits two years in a row which drew down our reserve, which had been up to $90,000. In the middle of this, we changed our accounting basis for newsstand sales, which in paper doubled our deficit from $30,000 to $60,000. “Solid work with our Board was crucial in refocusing, internally and externally. The recession brought an opportunity to renegotiate contracts and cut costs. It allowed us to talk about the staffing structure and the Board in a more open way. We had to ask what we wanted to be when we grew up and what kind of talent was necessary to get there. And we had to talk openly with the Board about what we needed. We took a big hit in 2009, but we worked hard on strategizing a way out. Then we just followed the plan. We ended up with a profit last year, put something back into the reserve, and this year we are tracking well. The lesson I draw from this was always think of yourself and your Board in a dynamic way. “The thing that changed with this recession is that I now understand and believe we need to capitalize our organizations. When we operate on the edge, we have to exploit each other and the people we are supposed to serve and I don’t want to do that any more. At Art Papers, we want to talk about the social relevance of the arts. But everyday I exploit my staff and 300 writers, because I underpay them. How can I talk about social relevance when the thing I control is based on exploitation? Understanding that, I believe we need to capitalize the organization as one would do in any other field. “Raising compensation for staff is the tip of the iceberg. In fairness we should simultaneously and proportionately raise the rate for our writers. But a small increment is a huge financial challenge when you’re publishing six times a year in print and publishing online—a small incremental raise for an individual is $100,000 for the organization. We also face challenges in overall capacity. I cannot bring another body into our office right now. Right now we are in Atlanta but our readership is international. What makes sense for our program and fundraising ability? Should the next office be in Atlanta, Dallas, New York, or Istanbul?